Select the Most Trusted and Highest Rated Moving Company in the Tri-State! Are you moving your home or business? Don't worry! 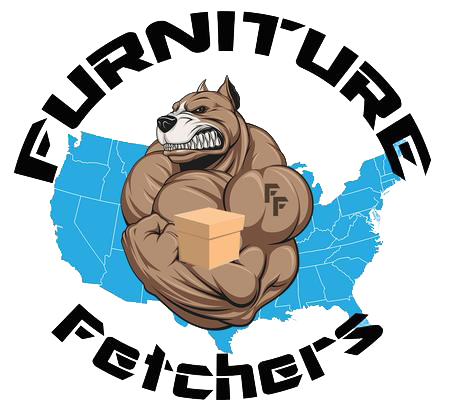 Our Evansville based movers at Furniture Fetchers, Inc. are here to take the stress away. There is no job too big or too small. WE DO IT ALL! We offer TWO Full Service and several other Furniture Fetcher Packages- Platinum, Gold, Economy, Specialty, Delivery, & Disposal. Leaving the tri-state? We will move you anywhere in the U.S.! Need a truck? No problem, we have our own! Already have a truck? We do loading and/or unloading! Remodeling or decorating? We can clear your space so you can add your personal taste to any location! Just want to donate or dispose of some items? We have special rates for disposals and donations! Stressed out about packing? No problem, our moving experts can get your treasures packed and ready for their new home! Worried about getting the furniture put back together at your destination? We got it, our crews come with tools and supplies to you get settled! We assemble cubicles, desks, and other various commercial applications as well. Also, we have special rates for 5 items or less deliveries. Call today for a quote!!! Our mission: To provide the best possible moving service to get you and your treasures to your destination as safely and efficiently as possible. A full service moving package. Professional services for our cost conscious customers and small jobs. One items or many, we can it make happen! Why choose a professional moving company in Evansville, IN? We offer a premier service superior to national carriers. Being a local company we understand things like weather issues- not all customers prefer to move in the rain or snow. We understand! If you want to move in the rain or snow- No problem, our guys will show up with weather appropriate protection for your belongings! You'll be impressed with knowledge of local apartment complexes, storage facilities, and retailers. We know the best routes to take, the best trucks to drive, and the best team to do the job.